When problems occur, it's a time for cool heads, rational thought and expert advice. Commercial disputes are part of business life, but they can also be frustrating distractions, consuming time and resources that could be directed elsewhere. And, at their worst, they can cause serious damage your business and even threaten its viability. So, speed and pragmatism can be just as important as the merits of your position – commercial disputes are almost always about resolution rather than ‘winning’. 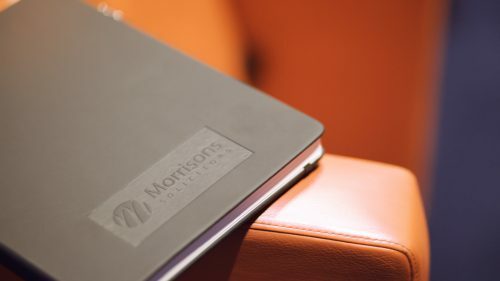 At Morrisons, we recognise that a fast, cost-effective resolution, designed to support your business objectives, is the main priority. Alongside a restitution of any damage, you want to return to ‘business as usual’. So, we take a practical, commercially informed approach and always look for alternatives to the cost, time and unpredictability of litigation. But when litigation is the best option, be assured that we have the skills and experience to forcefully assert your interests. Our team comprises qualified arbitrators and mediators – all experienced and robust negotiators. 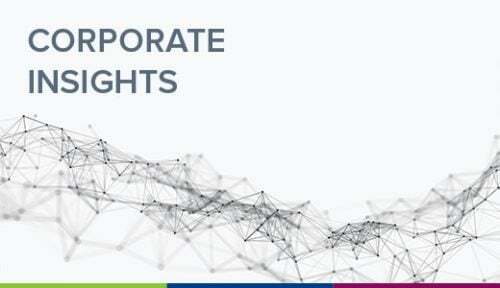 Experts in our respective fields, we can also draw on the experience and knowledge of specialist teams, including colleagues from our corporate, employment and commercial property teams. We recognise that value for money is also a concern for you, so we provide estimates and updates to help you to project manage litigation costs effectively. We offer a range of innovative pricing solutions to ensure that our services are tailored to your budget as well as your business need. Catherine Fisher and her Team were magnificent and a pleasure to work with. Once the pros and cons of our case were discussed and fully assessed in an honest, open and pragmatic way, the decision was made to pursue the issue and from then on the whole process was executed with precision, accuracy, full and frequent explanation and updates and to a highly successful conclusion. I wouldn’t use anyone else. Our team helps businesses manage risk and resolve disputes resulting from a variety of sources. Some brief details on the key services we provide are can be found below. Our dispute resolution services are built on the precept that your time and energy are best spent running and developing your business rather than dealing with disputes, however significant they may be. We aim to quickly understand your particular situation and its business context, and then analyse the strength of your position and help you to understand your options. We are highly experienced in running complex and multi-party claims and will work closely with you to find the best and most practical solution. In some cases that may mean recommending litigation and we are well-equipped to take this on for you. Equally, we will not shy away from confronting uncomfortable truths and giving you unpalatable advice if that’s what we believe is in the interests of your business. We are experienced and adept at securing injunctions at short notice to secure evidence and prevent further damage to your interests. Similarly, we are experienced in applications for expedited trials, as well as in alternative dispute resolution, including adjudication, expert determination, arbitration (ad hoc and scheme-led) and mediation. We advise individuals and companies on disputes relating both to indirect taxes – those collected by an intermediary such as a supplier or retailer e.g. VAT – and direct taxes, which are those that you pay yourself, directly to the Government, such as income tax. We regularly represent clients before the First Tier and Upper Tier Tribunals and in proceedings brought by the FCA and NCA. We advise clients on complex Stamp Duty Land Tax matters arising from commercial property transactions, the purchase of high value homes and property portfolio investments. Nowhere is this more relevant than with building works that involve the Party Wall etc. Act 1996, which regulates works to party walls and excavations close to the adjoining owner’s property. These could negatively affect the value of your property, or impact the work or safety of your employees or tenants. You may find yourself confronted by a neighbour who refuses to comply with the Party Wall Act. Equally, you may have works planned that enhance your property but find yourself facing a difficult neighbour who wants to frustrate or delay the works. The telecommunications industry is constantly evolving and the introduction of new technologies, the trend towards network consolidation and the application of a complicated and uncertain legal framework, mean that it’s easy for landowners hosting telecoms equipment to feel that they have lost control of what’s happening on their property. If you have telecommunications masts and equipment installed on your property or land, or if you’ve been approached about this, or you want to have equipment removed, you should speak to an expert. We can help you get the best possible deal to ‘make the most of your mast’ and expedite any changes so that your property and any affected tenants suffer minimal disruption. Advise on issues arising out of network sharing, such as the upgrading and addition of new equipment and the sharing of the network infrastructure.